Scientists at University of Oxford and the Evandro Chagas Institute in Brazil have reported on the sequencing of seven Zika virus (ZIKV) genomes from the recent South American outbreak, including one fatal adult case and one newborn with microcephaly. This data offers new information on how and when the virus might have entered the Americas and the researchers hope will begin to shed some light on transmission and pathogenicity factors. The investigators found that ZIKV in the Americas arose from a single introduction, estimated to have occurred between May and December 2013, more than 12 months prior to the first detection of ZIKV in Brazil. This estimated date of origin coincides with increased rates of air passengers to Brazil from ZIKV-endemic areas as well as with reported outbreaks in the Pacific Islands. Interestingly, one hypothesis put forth by the researchers involves virus introduction during the Confederations Cup soccer tournament, which involved French Polynesian participation from Tahiti. Municipality-level analysis indicates that reports of suspected microcephaly in Brazil best correlate with ZIKV incidence around week 17 of pregnancy (or week 14 for severe microcephaly)—although the researchers stress that this does not demonstrate causation. Work is ongoing to establish whether or not ZIKV is a true causal factor for microcephaly and other conditions. 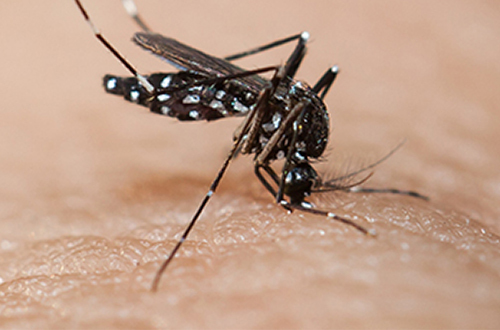 In the past several months, Brazil has experienced an unprecedented epidemic of ZIKV, with around 30,000 cases reported thus far. The researchers are committed to continuing their efforts to understand all they can about this disease and hope that this initial data will provide a baseline for future studies of the evolution and molecular epidemiology of ZIKV within emerging virus areas.